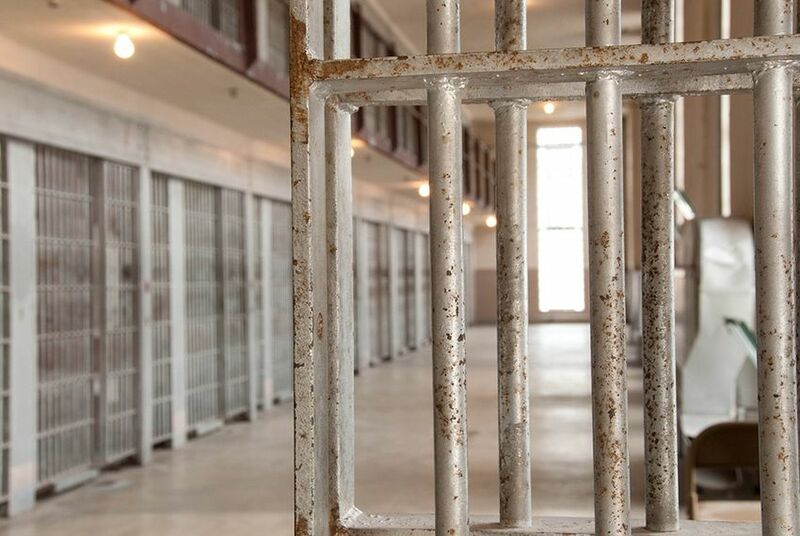 The network backed by the billionaire industrialist brothers Charles and David Koch is investing millions to research how to help former prisoners successfully re-enter society in Texas and three other states. INDIAN WELLS, Calif. — The influential Koch network is zeroing in on Texas as a new laboratory for prison reform. It's part of a broader push by the network — backed by the billionaire industrialist brothers Charles and David Koch — to redouble its criminal justice reform efforts while embracing common ground with President Donald Trump and his administration, which have delivered mixed results at best for the unlikely alliances that have formed around changing the system. "We're going to meet people where they are," Mark Holden, a senior network official, told reporters here repeatedly — a kind of mantra for the network's eagerness to make progress on a host of policy issues in the Trump era. That's despite some clear differences with Trump, whom the brothers – best known for throwing their financial heft behind conservative causes – conspicuously declined to support in the 2016 presidential race. Prison reform was a major focus here this past weekend, when about 550 network donors — the largest group yet — gathered at a palm-fringed luxury resort for their annual desert meeting to plot out politics and policy for the coming year. The talk of prison reform was spliced between ambitious goal-setting for 2018, from the network's plans to spend close to $400 million this election cycle to Charles Koch's personal challenge to supporters to increase their commitments tenfold — or "10x." The gathering served as the launching pad for Safe Streets and Second Chances, a $4 million initiative to help former prisoners successfully re-enter society and reduce recidivism overall. Texas is one of four states — along with Louisiana, Florida and Pennsylvania — where researchers will develop "individualized re-entry" plans for over 1,000 participants at eight sites and then study the outcomes. Those plans, Holden noted, start "day one of incarceration." The program's partners include the Texas Public Policy Foundation, the Austin-based conservative think tank that has been working to advance criminal justice reform through its Right on Crime project. As network officials laid out the initiative over the weekend, they didn't let one thing go unmentioned: The White House is on board. It’s a point that bears emphasizing given Trump’s attorney general, Jeff Sessions, cultivated a tough-on-crime image while a U.S. senator from Alabama, opposing reductions in mandatory minimum sentences, for instance. He’s brought that rigid posture to the Justice Department, where he has ordered federal prosecutors to pursue the most serious charges possible against criminal suspects — a reversal from the days under his Democrat-appointed predecessors when prosecutors were afforded more discretion. If the Koch network is concerned about Sessions standing in the way of prison reform, its leaders did not show it throughout the weekend. “He believes in second chances,” Holden told reporters Saturday afternoon, downplaying any potential friction with the attorney general. The network’s decision to hone in on prison reform was shaped by several months of discussions with the White House, particularly with Jared Kushner, Trump’s son-in-law and senior adviser, and his Office of American Innovation. Among the Koch donors involved in those talks was Doug Deason, a Dallas businessmen who is helping advise Safe Streets and Second Chances. "Where can we make the most impact? It was prisoner re-entry reform,” Deason said in an interview. “The problem is there’s so much pushback from the right on mandatory minimum sentences, especially in the Senate, so we wanted to reduce that, but that’s a project for another day. … We feel like prisoner re-entry — we can do, we can get Jeff Sessions on board." Texas will no doubt factor prominently into the growing effort — and not just because it’s one of the four test states for the Safe Streets and Second Chances initiative. Throughout the weekend, attendees were repeatedly told of how under former Gov. Rick Perry, the state closed a number of prisons, saved a generous sum of taxpayer money and saw its crime rate go down significantly. At a Monday afternoon panel, Arizona Gov. Doug Ducey and Nevada Attorney General Adam Laxalt both oozed with praise for Texas' reforms. "I look forward to really looking at what Texas has done," said Laxalt, a rising-star Republican who's running for Nevada governor this year. Ducey and Laxalt weren't the only attendees intrigued by the network's focus on criminal justice reform. “I would say that that’s one of the areas that I’ve become ‘woke’ to, if you will — is the inequity and injustice of our current" system, said Tom Shepherd, a Cincinnati businessman. “It certainly wasn’t on my radar before I showed up here." Among some advocates in Texas less directly aligned with the Koch network, its prison reform efforts are viewed with appreciation — but also with the caveat that it's taking on a cause that’s staggering in scale. According to the latest data, nearly 70,000 prisoners were released in Texas in 2016. And while prison reform is a “great starting point,” one Texas expert said, advocates shouldn’t lose sight of broader reforms just because the political will for them is in doubt. Still, even with the White House's backing, recent history suggests this latest prison reform effort could face challenges. Previous efforts to address prison reform in Congress have fizzled out after getting linked with proposals to soften mandatory minimum sentences for certain low-level offenses, which have drawn stiff opposition from tough-on-crime conservatives. Appearing on a dinner panel Saturday night, U.S. Sen. John Cornyn, R-Texas, acknowledged that the issue of mandatory minimums has previously split Republicans, imperiling the passage of any criminal justice reform. But he offered a sunny outlook for 2018 if lawmakers can at least rally around the less divisive proposals. "I hope what we’ll do is we’ll start with that prison reform component, and if there are things that we can add to it that make sense in the House and the Senate, then we can do that," Cornyn said. "But failing that, I think it would be a great thing if we can pass prison reform and get it to the president’s desk. I'm more optimistic about that happening this year, in the next few months, than I've ever been before." Speaking with reporters the next morning, Kentucky Gov. Matt Bevin appeared to have little patience for the discussion around tying prison reform to sentencing reform. "I'll tell you this, as a governor — who cares?" Bevin said. "If you separate it, so be it. Let's make progress." The Texas Tribune and other news outlets were invited to cover portions of the three-day seminar, on the condition that donors not be identified without their consent. Disclosure: The Texas Public Policy Foundation and Doug Deason have been financial supporters of The Texas Tribune, a nonprofit, nonpartisan news organization that is funded in part by donations from members, foundations and corporate sponsors. Financial supporters play no role in the Tribune's journalism. Find a complete list of them here.